Many universities call themselves Christian, but cannot bring themselves to talk about the central narrative of the Christian faith – the Incarnation, the Cross, and the Resurrection. Yet as Father Richard John Neuhaus has written, “If what Christians say about Good Friday is true, then it is, quite simply, the truth about everything.” The implications of such truths are worth studying and knowing to the fullest – truths we all must confront to have a life worthy of our Creator’s purpose. The university has deep roots in the Christian church. Christian scholarship is as old as the faith. If anyone was ever a scholar, surely Paul was, surely Augustine was, and surely Aquinas was. That tradition of Christian scholarship gave birth to the great universities of Europe and to their younger American counterparts. Despite the ancient relationship between the church and the university, the past two centuries have seen the two grow ever further apart. Today, universities that embrace the idea that faith and reason are partners in the quest for truth are few. Sadly, one need only visit the campuses of the great institutions of the past to see that they are now dominated by moral relativism and secularism – the magnificent old buildings may still have the Word of God engraved on their walls, but it has faded with time, and too often no longer represents the beliefs of those inside. Yet, these universities have largely ceased to exist in their Christian forms. The Harvards, Yales, and Princetons have all left their Christian foundations behind. As late as the 1950s, administrators at Yale protested fiercely when a young William F. Buckley questioned the school’s Christian commitments. [iv] No such controversy would arise today. 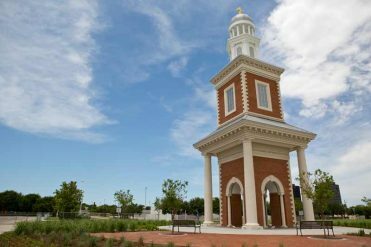 The result is that the great Christian university (especially among Protestants)[vi] is virtually nonexistent in America. Few rank with the best in the nation or have comprehensive offerings. Neither are Christian universities in the Protestant tradition truly in the business of producing Ph.D.s. As a consequence, the faculty we hire have almost always been educated in secular institutions. The Christian universities have failed to accept their responsibility to love God with all the mind (Matthew 22:37) at the highest formal levels of academe. During the past several decades, Christian higher education has compiled a distressing record of graduate students not trained, seminars not held, doctoral degrees not conferred, conferences not convened, and journal articles not written because of the severely limited capacity of Christian higher education in the wealthiest nation on earth. 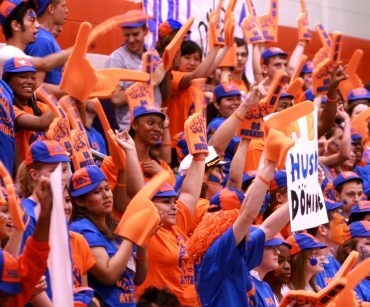 There are many fine undergraduate Christian schools, universities that have maintained their ties to vibrant Christian communities and denominations. But these Christian universities are largely regional in their influence and limited to the undergraduate experience, though there may well be a few master’s degree programs provided. What is missing in American higher education, especially on the Protestant side, is the comprehensive university which takes the confession of Christ’s Lordship seriously. By comprehensive, we mean that the university offers a full range of programming, from undergraduate programs to master’s programs all the way through professional schools and doctoral programs. 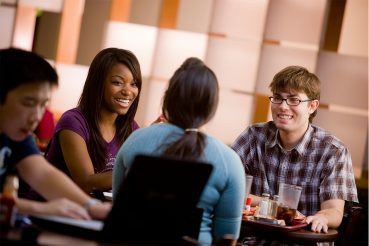 The importance of having comprehensive Christian universities is evident in a number of ways, not the least of which is the necessity for providing the finest possible education at all levels to young people who seek to develop a Christian worldview.
. . . is not merely to affirm a religious confession, nor to say something only about an interior faith or personal, individualistic values. Rather, to say “Jesus Christ is Lord” is to make a statement that touches not only the private spiritual lives of believers, but encompasses all of the ranges of the created order, including the scope and breadth, as well as the complexities, of human social, political, emotional, and physical experience. As a result, Christian academics should be willing to engage the most significant questions of our day – whether issues of the environment, organizational management, constitutional law, theological and religious debates about the distinctiveness of the Christian faith vis-à-vis other religions, the cultural and political diversities of our world ethnically, religiously, and culturally – without ceding these matters to secular institutions. Unfortunately, four-year Christian liberal arts colleges and universities have, in many cases, slowly devolved towards providing a secondary and synthetic style of education. Professors who could be making substantial contributions to leading-edge thinking and presentation are overburdened with heavy teaching loads, are not given adequate time for research and scholarly productivity, do not have the opportunity to train doctoral students, and thus are often not on the front lines of debates that shape the modern world. The lack of comprehensive Christian universities also has a further negative consequence. Christian universities are not offering Christian graduate students the opportunity to get advanced academic degrees, at the highest possible levels, under the academic tutelage of professors and programs which intentionally and institutionally support their faith and its engagement with the world of learning. 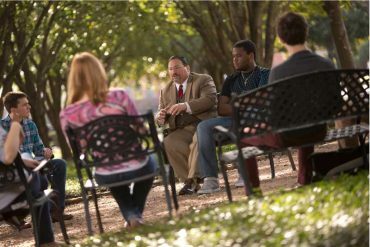 Thus, the faculty hired by Christian universities, faculty with Ph.D.s who have virtually all been educated in state institutions and/or secular institutions, are themselves – though serious about their Christian confession – ill-equipped to pursue in the Christian university the discussion in the classroom and in scholarly publication of the engagement between faith and learning. [i] This phrase is widely attributed to Kepler. For an example, see Del Ratzsch’s entry “Teleological Arguments for God’s Existence” in the Stanford Encyclopedia of Philosophy. [ii] Lionel Trilling made it famous, but “the moral obligation to be intelligent” originated with his Columbia mentor John Erskine who wrote a book titled The Moral Obligation to be Intelligent and other Essays in 1915. [iii] From The Revolutionary Writings of John Adams, Selected and with a Foreword by C. Bradley Thompson (Indianapolis: Liberty Fund, 2000). [iv] God and Man at Yale, Regnery Publishing, 1951. [v] George Marsden, The Soul of the American University, Oxford University Press, 1994, p. 282. [vi] Though Catholic universities have suffered similar declines. See James Tunstead Burtchaell, The Dying of the Light, Eerdmans, 1998.